There are few places in DC where I can get excited about Indian food outside my own home. Most restaurants seem to phone it in, especially with their vegetarian offerings. I’m guessing this is because of a long-held view that Americans a) don’t know authentic Indian cuisine from a hole in the ground and b) only want to eat meat. Neither is true, especially nowadays, and Rasika is the place to go for authentic, yet inventive Indian cuisine in a lovely atmosphere. There are quite a few vegetarian choices among the appetizers, and they are small so you can try a few. I highly recommend the Sev Batata Puri, with crispy cracker-like puri, warm potatoes, crunchy sev, and spicy green and sweet tamarind chutney. I like to ask for the tamarind chutney on the side so as not to mix sweet with savory, but that’s just me. The butternut squash samosas were a nice surprise – little beggar’s purses, cleverly tied with an onion sliver, instead of the usual triangular pastry. The filling was smooth and flavorful. Malai dates were more like dessert than an appetizer, but still incredible. They’re filled with a milk sweet and served in a savory saffron sauce. We may consider ordering these as a pre-dessert next time! Next came the crispy palak (spinach) chat. I’m pretty sure that I’m the only one who doesn’t love this, so just try it. It’s spinach, fried to a flaky crisp and spiced up chat-style with tamarind chutney. I’d much rather eat raw or cooked spinach than fried, but this is one of Rasika’s most popular items, so go for it at least once! For your second course, skip the Avocado-banana chat – it’s bland and there are much better ways to eat both ingredients than with a random tamarind dressing. The Wild Mushroom Uttapam was bland and gummy, but the beet chutney that came with it was an unlikely hit. Of the three, we recommend just ordering the Paneer Khati Roll, with chunks of mild paneer and and a robust tomato-onion filling. Then came the main dishes. Clearly we should have budgeted our stomach space better but this was for science, so we charged ahead. The best of these was the simplest one, the creamy Dal Dhungaree. Don’t pass on the dal. It’s complex and rich and satisfying. The Paneer Chili Garlic was definitely tasty but too intense, like a condiment rather than a main dish. Skip the Kesari Malai Kofta, which would seem to promise rich Mughlai flavor but delivers a sad, bland soup with a potato lump in the middle. We ordered Malai Palak, frankly, due to the absence of the universally loved Palak Paneer. You’ll see Palak Paneer on the menu at every Indian restaurant but Rasika (and its cousin the Bombay Club) and one feels that they might just be omitting it to avoid the cliché. But clichés sometimes exist for good reason, and I wish they’d add it to their menu. In any case, the Malai Palak was good and gave us the spinach fix we needed. Andhra Bhindi should be my thing since I’m Telugu, but I just can’t get behind okra. It’s gooey. So there. Anyway, I think the others in our party liked it well enough but didn’t think it warranted reordering. Especially with so many other vegetable dishes to try. Don’t forget bread (which we ate before we remembered to take pictures). Get the Goat Cheese Kulcha, which is basically a naan stuffed with tons of goat cheese and tomato bits. The Cauliflower-Dill Paratha was a disappointingly odd flavor combination. Go for some good old Basmati Rice instead. It’s not always easy to find a great dessert in DC but Rasika does not disappoint. Order the Date and Toffee Pudding. Just do it. You might think you’re not that into dates but what Rasika has done here is sweet, buttery heaven with raspberry and caramel sauces. The Chocolate Rasmalai Entremet, enrobed in chocolate ganache with tiny chocolate balls, was surprisingly good, but I’d take a traditional rasmalai over it any day. Not every Indian food (or music/dance/fashion, but that’s a whole other blog) benefits from Western fusion. So there you have it. We ate All the Things, so now you’ll know your way around this vast array of choices. Dinner reservations fill up weeks (even months) in advance, but lunch is a good option if you haven’t planned that far ahead. 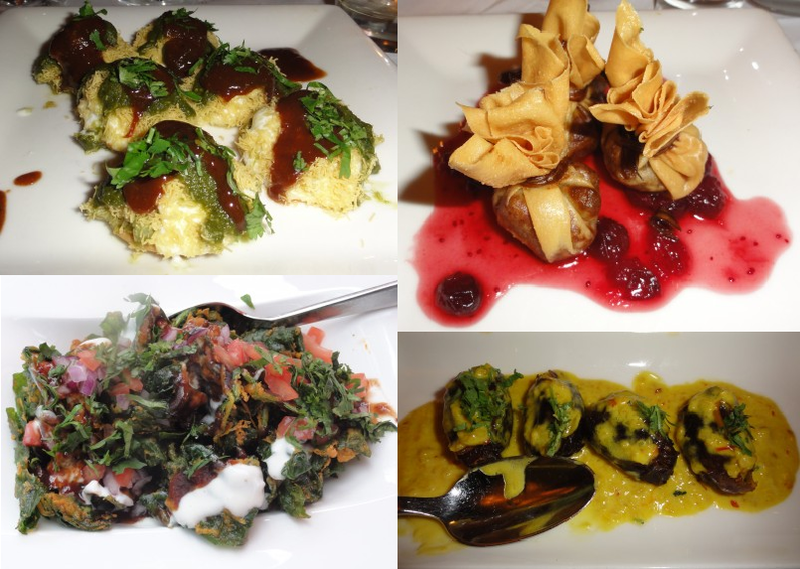 Make Rasika your next special-occasion meal!